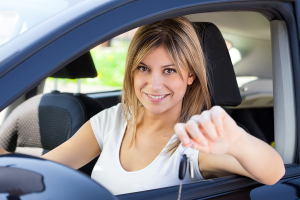 Our locksmith technicians are industry experts with each and every type of vehicle make and model. This means, each and every one of your automotive needs can be made easy and simple with our professional company at Automotive Locksmith Bel Air service. Regardless of what locksmith service you require with your particular make and model automobile, our skilled locksmith technicians will have the ability to help you with anything. From emergency Lockout’s, Computer chip key reprogramming, copy keys, Ignitions repaired or replaced, Electronic locks installed or fixed, Locks changed, Ignition replace or repair, Locks fixed, install new locks, Key extraction, Transponder keys made, Trunk lockout and much more. At Automotive Locksmith Bel Air your satisfaction is important to us. We know it can be quite of a hassle if you get stuck with your vehicle somewhere because of a broken key, or all of a sudden your key stops working. Our company is a mobile company which means we come to your location. We can arrive at your location within approximately 30 minutes of your initial call and make the key for you on the spot. We work with all types of cars from different years, makes and models. If you need to make a new key, program a key or just make a copy we will happily help you here at Automotive Locksmith Bel Air. Our technicians are highly trained and licensed. We can rekey, repair and replace locks for all vehicles, such has Mercedes, BMW, Honda, Toyota, Lexus, Motorcycles, and more. At Automotive Locksmith Bel Air, we handle push to start cars, laser key cuts, glove compartment lockouts or lock change, and much more! The technician that is sent out to you always comes fully equipped with everything that is necessary for the job, and gets the job done right then and there. Some of our service areas are Bel Air, West Hollywood, Westwood, North Hollywood, Encino, Tarzana, Woodland Hills, Sherman oaks and more. Don’t hesitate to give us a call. Our highly trained dispatchers will gladly assist you and answer any questions you may have.